Killua's mother, who was injured while attempting to prevent him from running away from home (although Illumi states that she is proud of Killua for doing so). 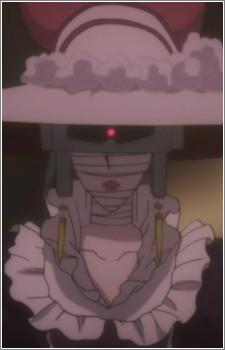 She dresses in Victorian style clothing and has a visor covering her eyes. She is the maternal figure of the Zoldyck family and is herself an assassin too. She seems to be slightly paranoid and is cautious of Killua's friends Gon, Kurapika and Leorio. Kikyo is eagerly awaiting for Killua to excel in assassination and to continue on with the family business.